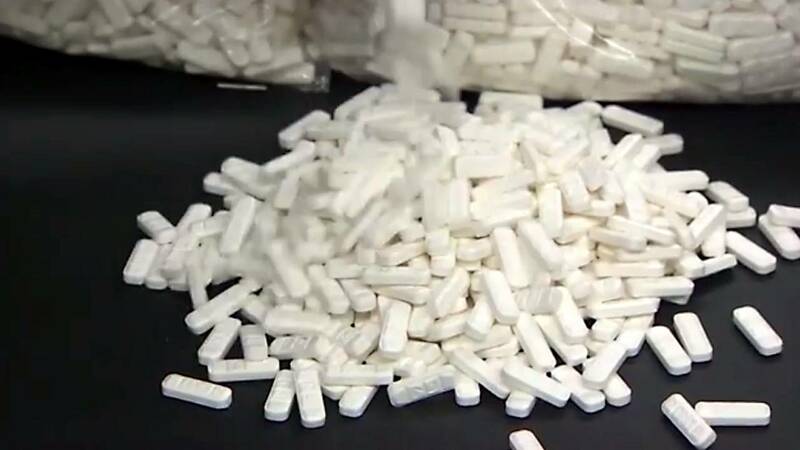 (CNN) - A yearlong investigation has detailed how international drug traffickers harnessed vulnerabilities in the mail system to flood the illicit market with potent opioids, according to a report released Wednesday by Sens Rob Portman and Tom Carper. The Permanent Subcommittee on Investigations, which conducted the probe, said that their report marks a failure by the US Postal Service and US Customs and Border Protection to find and stop these drugs from entering the country. Carper, a Democrat from Delaware and ranking member of the subcommittee, described the process of buying synthetic opioids online as "incredibly easy" and said that federal agencies were "ill-equipped" to deal with the surge in these illegal shipments. It has long been known that lethal illicit drugs are coming into the US through the mail, largely originating in China, but the investigation sheds light on just how it happens. During the probe, investigators posing as first-time buyers made inquiries to websites selling fentanyl and other opioids from China. (Fentanyl is a synthetic opioid that is far more potent than heroin and morphine.) When time came to pay for the shipments, they were able to subpoena records on payment information -- including Western Union and PayPal -- from six online opioid sellers. The subcomittee unearthed more than 500 financial transactions by more than 300 people in 43 US states. Their purchases, amounting to $230,000, have an estimated street value of roughly $766 million, according to the report. The highest numbers of these purchases came from Ohio, Pennsylvania and Florida. Fentanyl is known to be shipped to Mexico and Canada, where it is mixed with other drugs before crossing into the US, the report said. Investigators did not finalize any of their own purchases due to concerns that even a small amount could come into contact with the skin and cause an overdose, subcommittee staff told reporters. "We now know the depth to which drug traffickers exploit our mail system," Portman, a Republican senator from Ohio and chairman of the subcommittee, said in a statement. "We must keep this poison off our streets and out of our communities." Investigators also connected these online sellers to 18 drug-related arrests and seven deaths linked to opioids, according to the report. The subcommittee suspects it has discovered several "distribution networks" that channel these drugs from China to the US, according to the report. In emails that were released in the report, the online vendors also tried to upsell investigators on fentanyl-like molecules such as carfentanil -- which is roughly 100 times more potent than fentanyl and 10,000 times more potent than morphine. Carfentanil and other synthetic molecules have been found in street drugs, and many users don't even know they are taking it, officials have said previously. Dealers are cutting heroin with these compounds to give it a boost and stretch their supply. "These chemicals are all very potent and very deadly in isolation, but in the wrong hands ... that's a fast-track route to the morgue," Donna Iula, director of forensic chemistry at Cayman Chemical, previously told CNN. The subcommittee criticized the USPS for not systematically collecting "advanced electronic data" -- which may include names and addresses of senders and recipients, package weight, declared value and contents. The investigation found that the USPS receives this data for only 36% of international packages. Nearly 319 million international packages arrived in the US last year with no advanced data, the report said. Some online sellers told investigators they would even divert Chinese packages through other countries before arriving at their US destinations to avoid suspicion by Customs and Border Protection, according to the report. In a statement responding to the report, the US Postal Service said it is "deeply concerned about America's opioid crisis and is working aggressively with law enforcement and key trading partners to stem the flow of illegal drugs entering the United States." The agency also said that getting advanced electronic data is a priority. The Postal Inspection Service increased international package seizures by 375% between fiscal years 2016 and 2017, according to the USPS. It increased domestic seizures by 880% in the same time frame. US Customs and Border Protection said in a statement it is committed to working with Congress, USPS and others to "refine and further enhance the effectiveness of our detection and interdiction capabilities to combat transnational threats and the entry of dangerous illicit drugs into the United States." The agency noted some of the steps they have already taken, including the ability to rapidly identify fentanyl at entry points, having K9 units trained to detect the synthetic opioid at international mail facilities and increasing staff at main international mail facilities by 20% within the last six months. Portman and Carper will hold a public hearing Thursday morning to discuss the report's findings. Representatives from CBP and USPS are planning to address the subcommittee. Also on Wednesday, Sen. Claire McCaskill called on the USPS inspector general to conduct its own investigation on how the agency recognizes and seizes illegal opioid shipments -- and how some parcels slide through the cracks , according to a statement from the Senate Committee on Homeland Security and Governmental Affairs. "It's too easy for someone to go online, illegally buy opioids, and have them delivered to their front door," McCaskill said in the statement.